I have had Greek Key Patterns on the brain. And if all goes well I can show you guys exactly what I mean later this weekend. But until then …. I thought I would share some spaces that use the greek key pattern in some different ways! Enjoy! These greek key screens are the perfect touch for a monochromatic office! Love the wall paper in this room - subtle but a great accent. 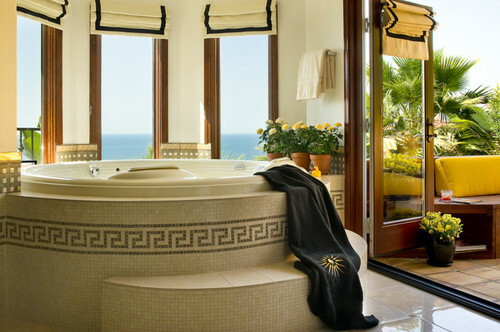 Greek key is wonderful as a pattern in tile! Also makes a great border around a room. Love the way the accent from the drapes and bedding is repeated on the ceiling. 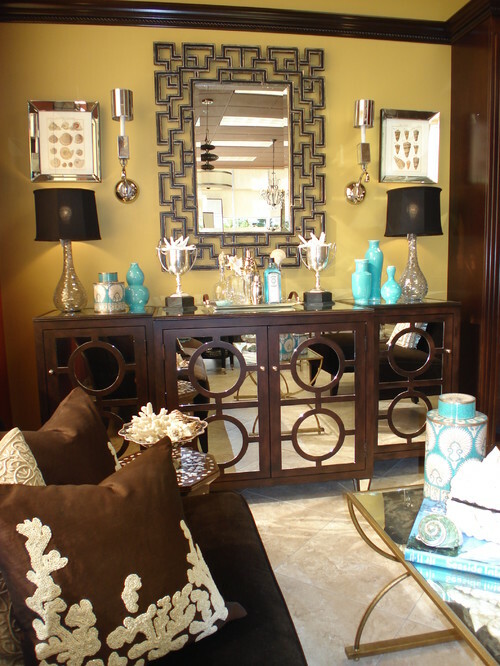 I like how this mirror incorporates a greek key border to make a great accent piece. 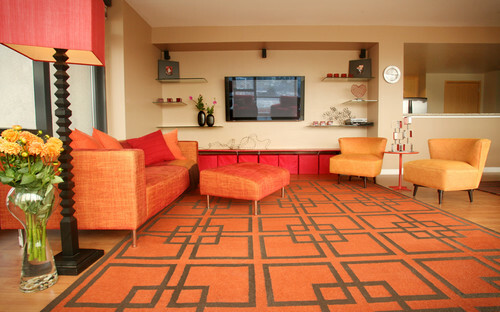 The size an scale of the print in this rug makes such a statement in this room. 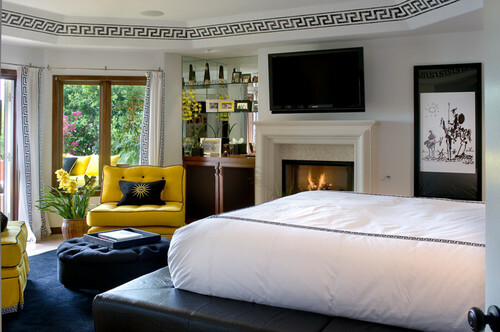 Love this girls room with the greek key accent around the bed frame. A perfect way to pick up on that darker accent color in the room. So there you go! What do you think? Are you a fan of greek key patterns? Have any in your house? I wanna know! 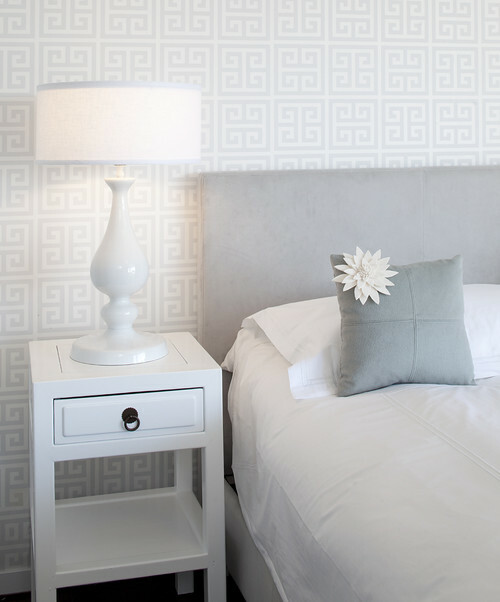 And if you need help figuring out how to add patterns like this in your home – be sure to check out my sponsor InCircle Interiors! They are offering Frugal with a Flourish readers 50% off Color Consultations and 20% off all other services. So they can help you plan virtual designs around your favorite ideas! Well, being Greek, I've grown to like to pattern over the years. I have a ring with the key pattern, but nothing in the home. I really like the subtle wallpaper one. I'm not a fan of this pattern. To me it is incredibly busy and when I look at it, I feel like I should be running a marathon or something. LOL!